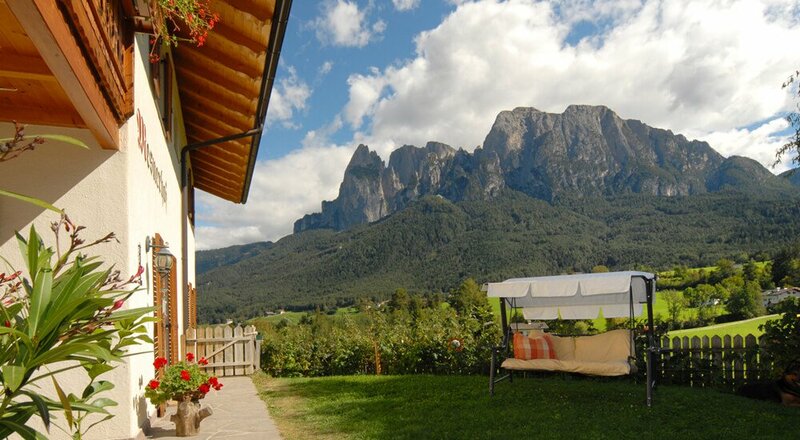 Would you like to spend your vacation very close to Mount Sciliar? 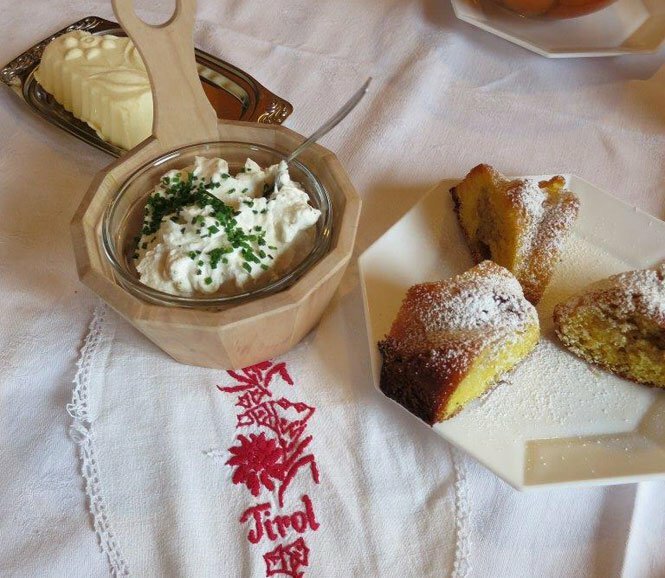 Would you like to discover the South Tyrolean agricultural traditions first hand? 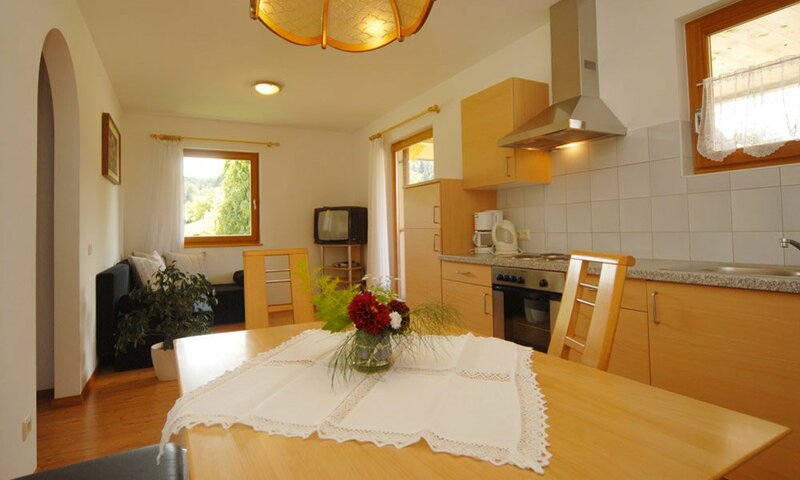 And are you looking for a perfect holiday apartment in an idyllic location? 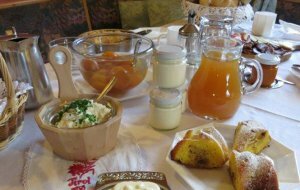 Be our guest during your farm holiday with half board! 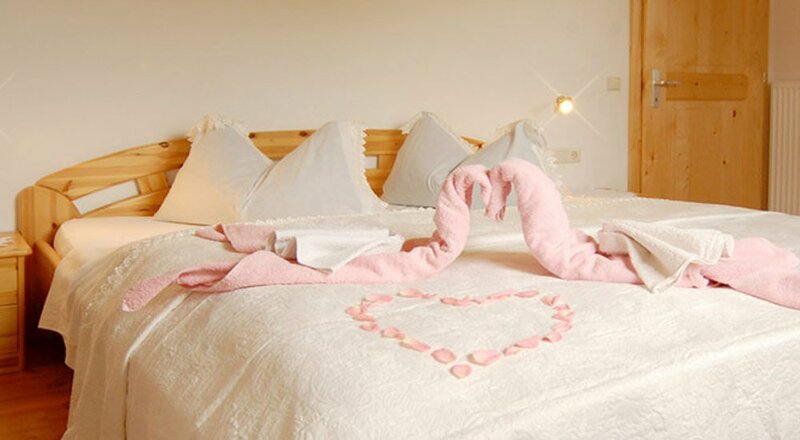 Our comfortable and spacious apartments and holiday homes in Fiè allo Sciliar offer everything your heart desires. 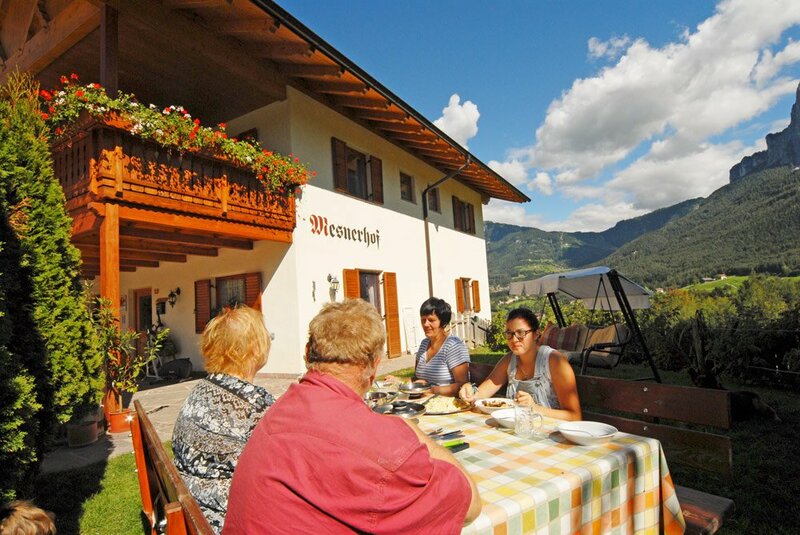 With up to 80 m2 and a huge balcony with splendid views on Mount Sciliar, we offer you the perfect holiday apartment with half board that matches your personal requirements to a cosy, well-equipped and country-style furnished holiday home. 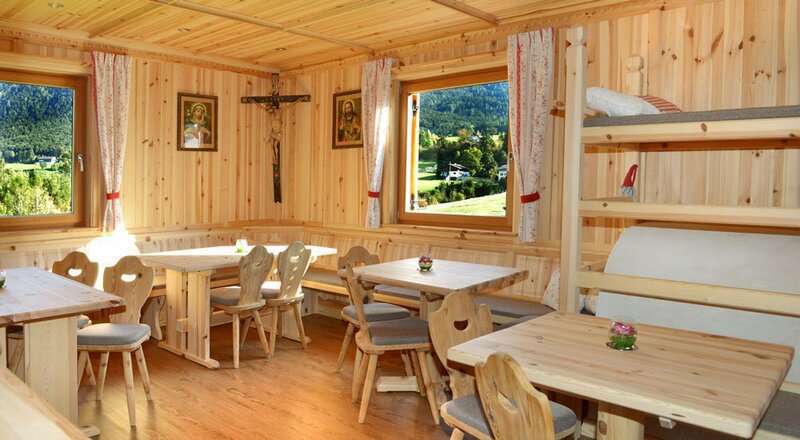 Our holiday apartments in Fiè allo Sciliar are equipped with solid wood furniture, creating a particularly inviting atmosphere and an ambience of rural comfort. 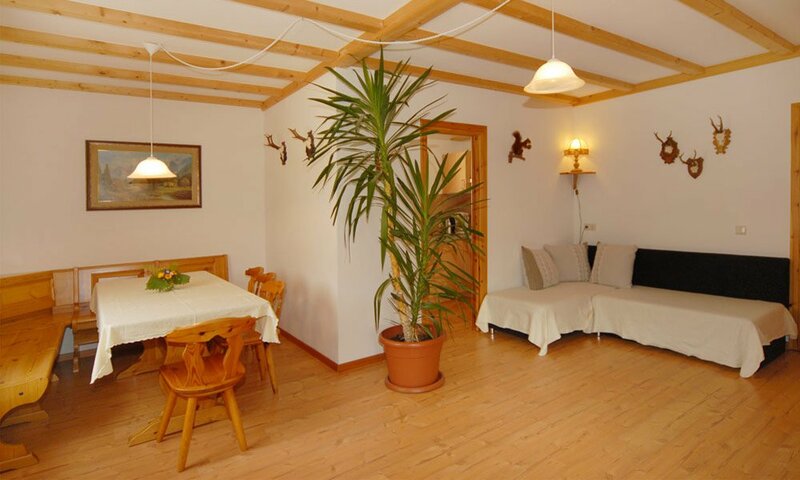 The large rooms are flooded with light and offer plenty of space even for larger families. 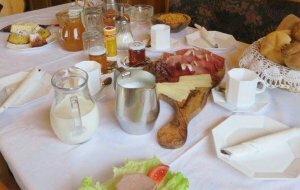 Children love to have a lot of space and to not have to restrict themselves during a holiday. 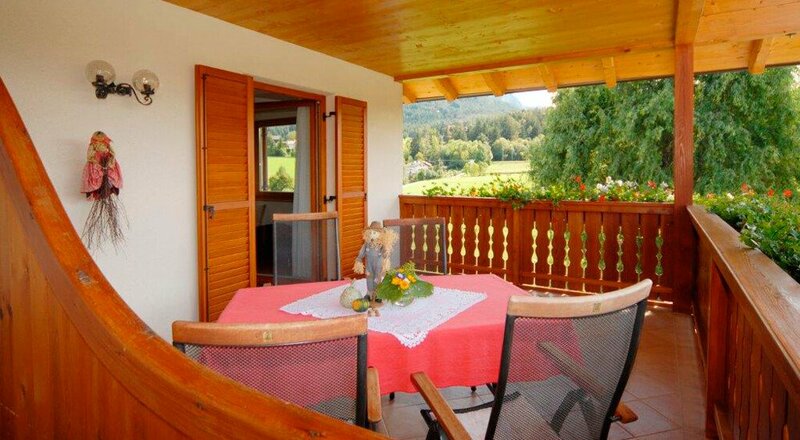 From your holiday apartment, you may enjoy a beautiful view on the Isarco Valley or on the small village church. 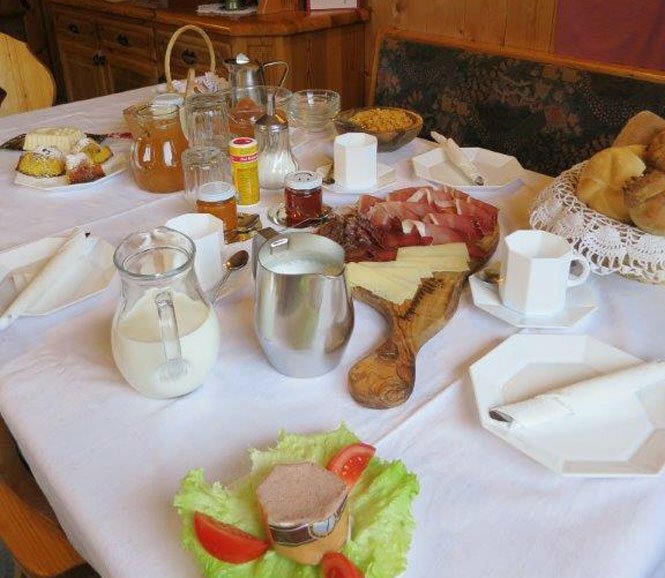 Your accommodation has all necessary cooking and kitchen equipment, a bathroom, a corner bench, and satellite TV. 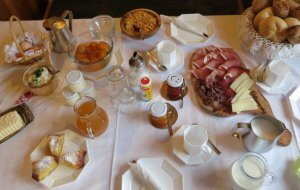 Of course, there are also dishes, pots and linens to make you feel right at home. 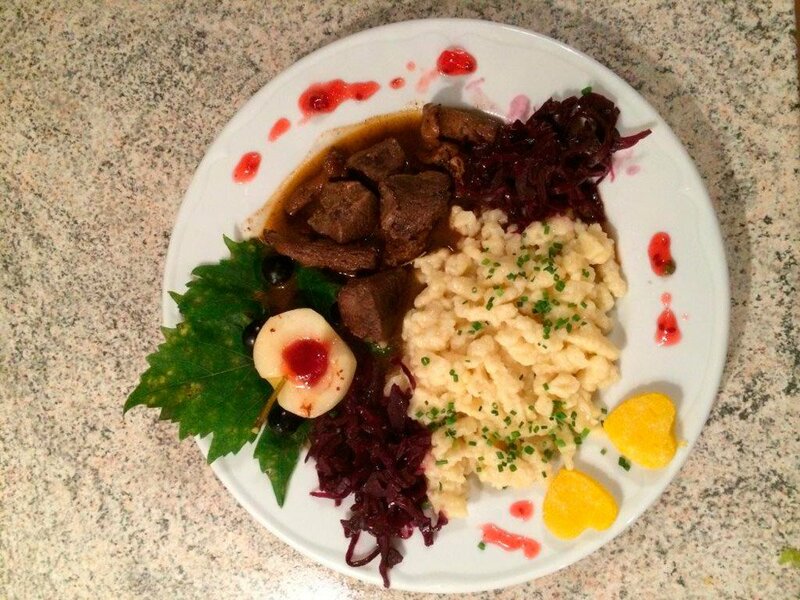 What are the meals like? 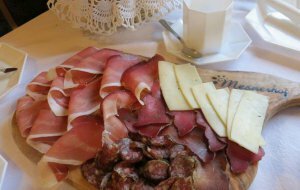 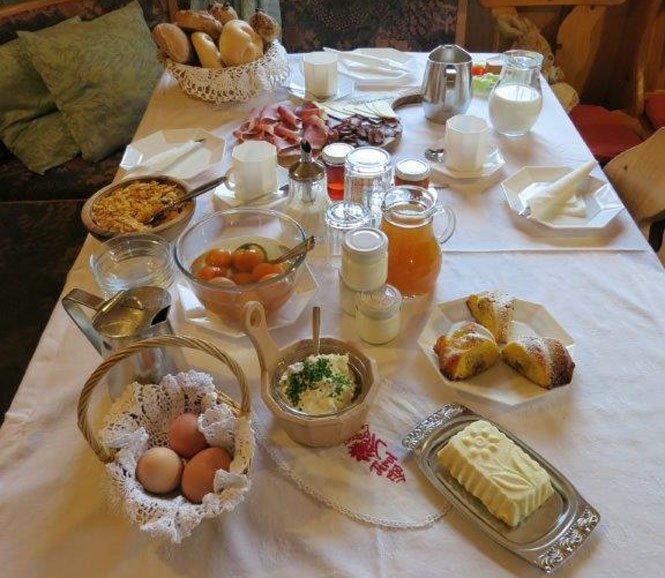 Let’s start with the farm breakfast, a pleasure you can only enjoy at a traditional South Tyrolean farm with its own cattle, and vegetable patch. 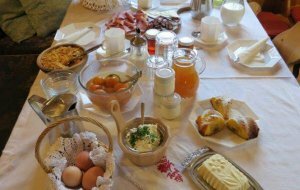 Our farmhouse breakfast includes fresh bread, aromatic jams, bee-honey, original farm bacon, savoury cheese from the region, vitamin-rich juices, cottage cheese, yoghurt, fresh seasonal fruit, milk of happy cows, eggs from our farm chickens, fine compote, and fragrant home-made cakes. 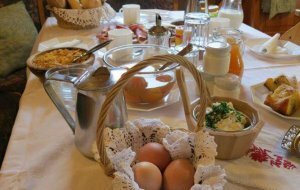 Our breakfast provides you with all the important nutrients and plenty of energy that you need for your leisure activities in the Sciliar area. The offer varies according to the season. 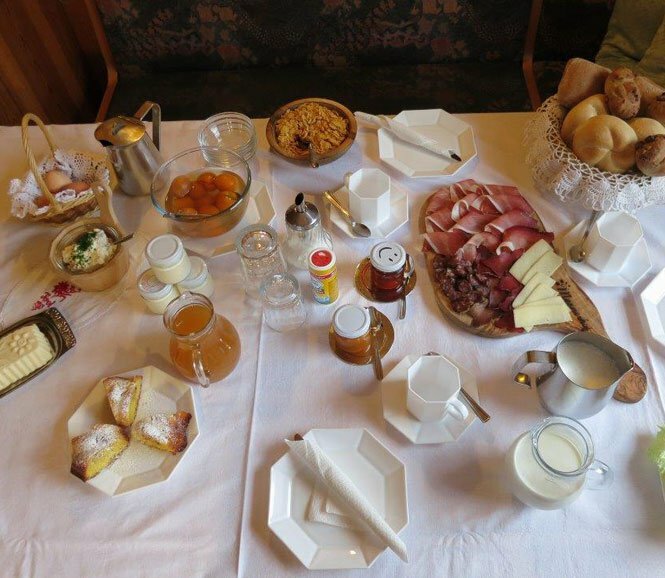 Upon request, you may enjoy your breakfast in your apartment, on the terrace, or in our farm lounge. 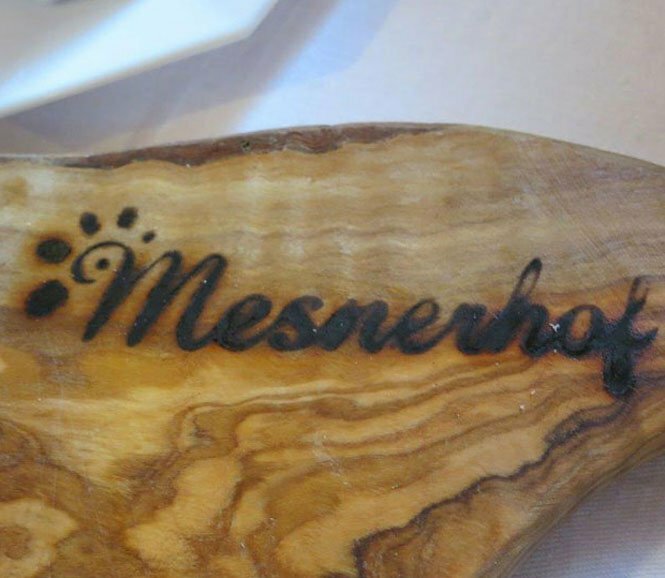 Whenever possible, we are happy to consider your special wishes. 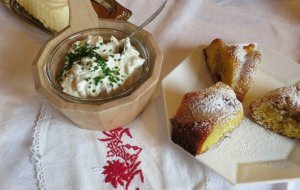 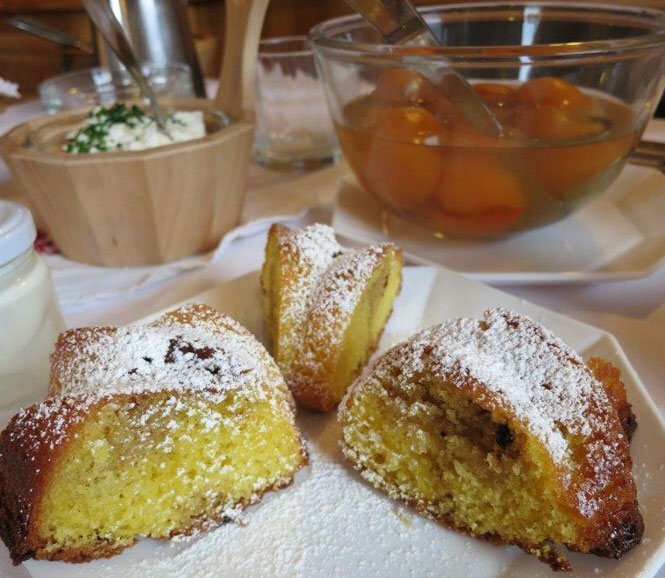 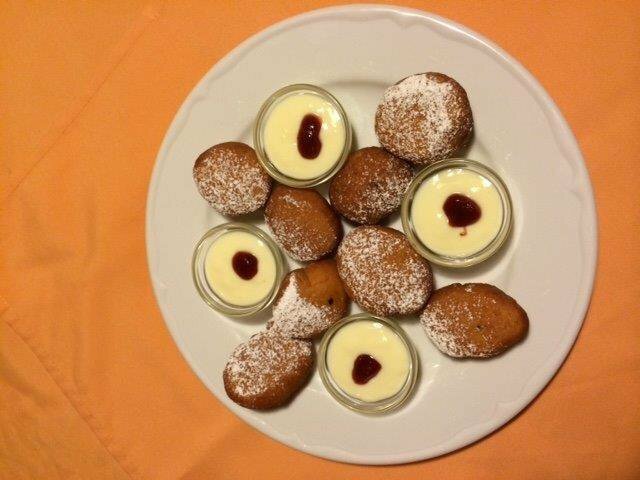 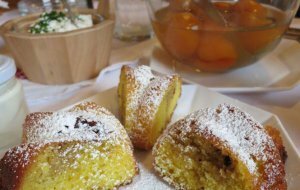 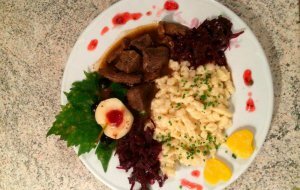 Farm holidays – this means that you have the unique opportunity to enjoy a home-made dinner with traditional South Tyrolean specialties. 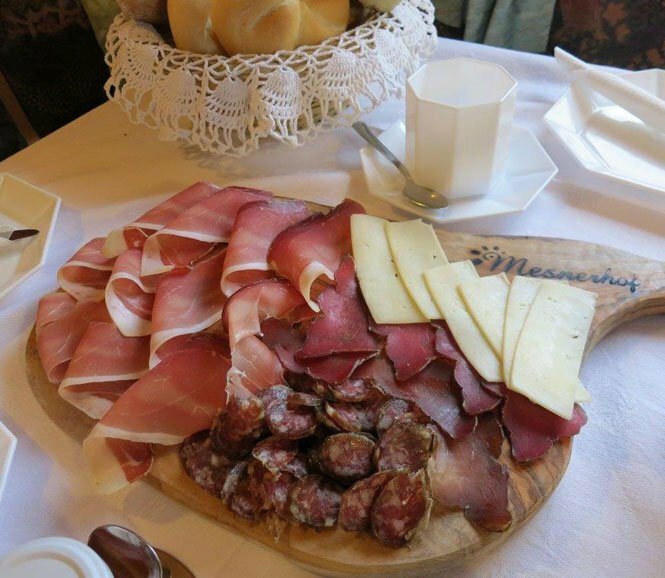 As a guest with half-board, a delicious meal awaits you, exclusively prepared with food from natural cultivation. 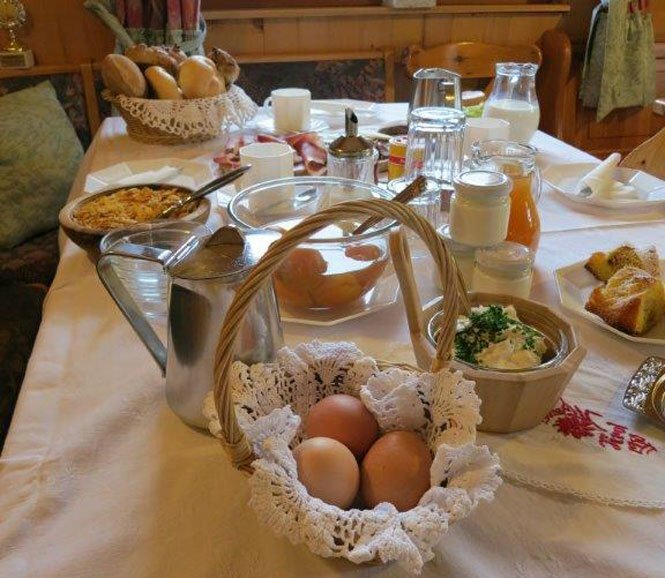 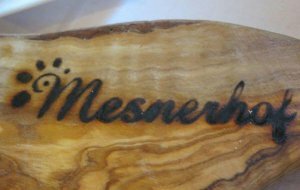 We cook with tender meat from our own farm, chicken eggs as well as fresh vegetables, salads, herbs, and potatoes directly from the farm Mesnerhof. 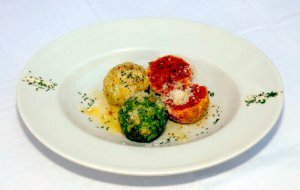 We use only fresh ingredients and completely avoid taste enhancers or concentrates. Our motto: All meals are fresh, high quality, healthy and natural – and above all delicious! 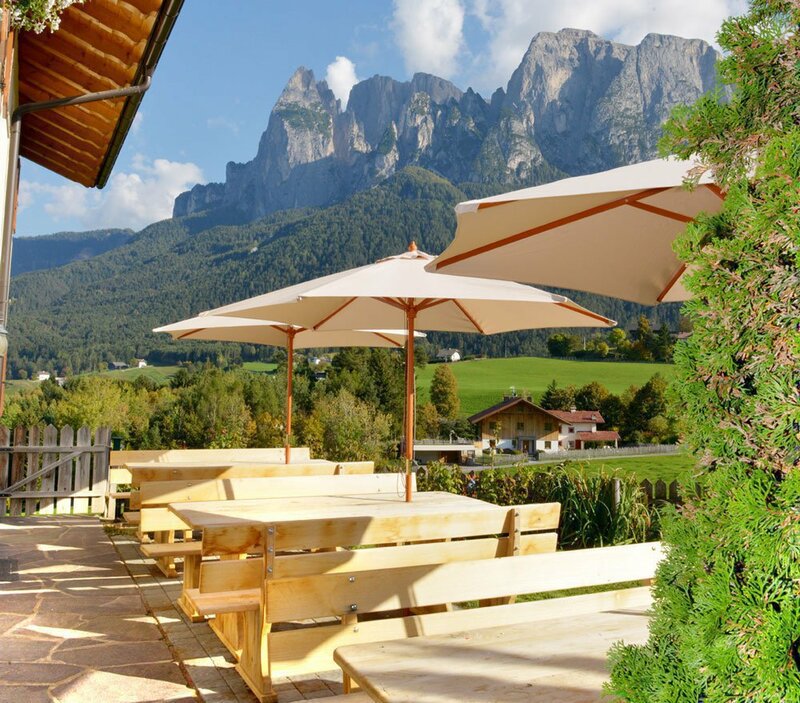 Depending on the weather and your mood, you may enjoy your dinner on our terrace, in our farm lounge, or in your holiday apartment. 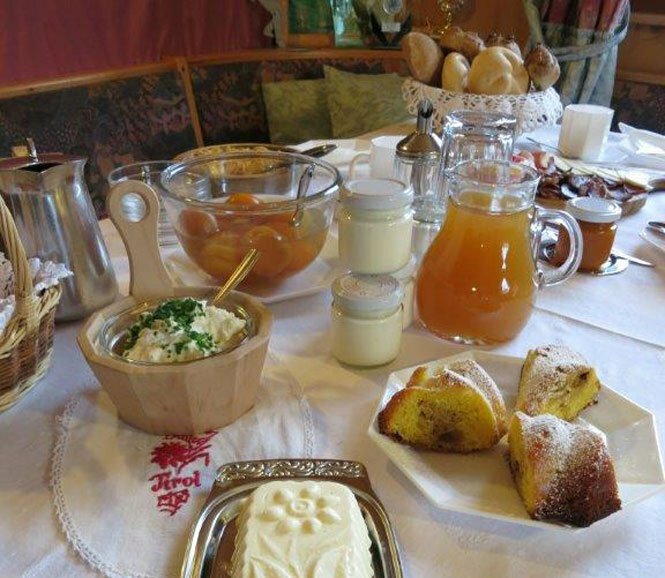 We recommend to accompany your meal with South Tyrolean wine, home-made fruit juice or fresh water from our farm well.